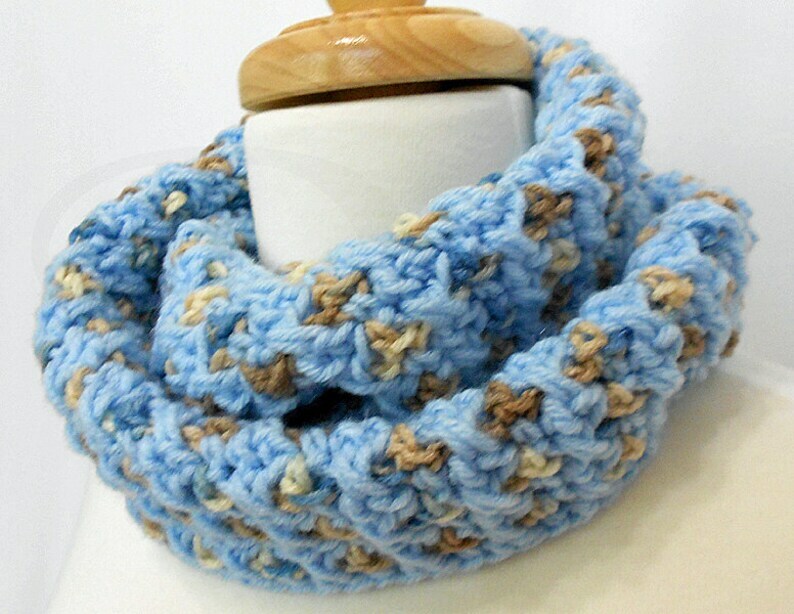 This handmade crochet infinity scarf was made with a beautiful light blue soft acrylic yarn and has multi color shades of darker blue and brown peeking through. It is made long enough to be used as a fashion scarf, wrapped like a Infinity cowl, or used as a winter scarf or neck warmer. It can be worn as either a longer scarf or doubled to be worn as a cowl. It would make a perfect gift for others or for yourself!